François Paradis, the president of the National Assembly, announced the change Wednesday morning. 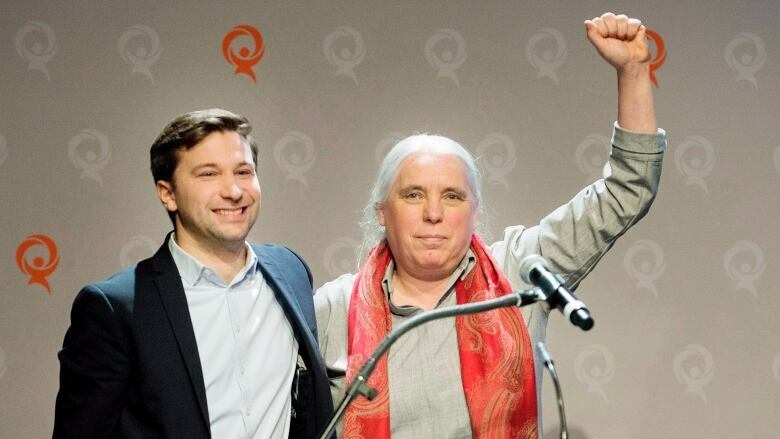 Québec Solidaire has officially overtaken the Parti Québécois as the second opposition party in the provincial legislature. François Paradis, the president of the National Assembly, announced the decision Wednesday morning. Québec Solidaire had asked Paradis to reconsider the ranking of the parties after MNA Catherine Fournier left the PQ last week, saying it was beyond saving. Losing the 26-year-old politician, who was the critic for the condition of women, brought the PQ's seat total to nine. Québec Solidaire has 10. The PQ had argued it should keep its current status because it came in one percentage point ahead of QS in the popular vote in last October's election — 17 per cent to Québec Solidaire's 16. The ranking of opposition parties determines how much time they get to ask questions in the legislature. The CAQ holds a majority in the National Assembly, with the Quebec Liberal Party serving as Official Opposition.